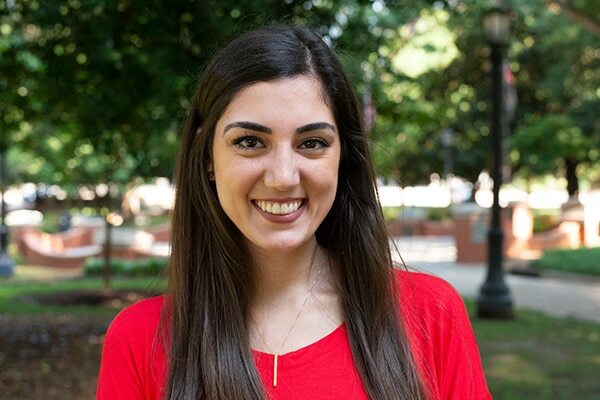 Alyssa Xouris recently joined Brasco /// as Social Media + Accounts Coordinator. She is a graduate of Elon University where she completed a BSBA in Entrepreneurship studies. Alyssa has a diverse background of marketing and social media experience. She previously worked for the Durham Performing Arts Center (DPAC) in marketing and public relations, where she gained experience in marketing and events for a large venue. She comes from a family of entrepreneurs and assists her family’s restaurant business that she helped start, brand and market from the ground up. Her role at Brasco /// is focused on helping create dynamic content and community engagement through social media marketing. She also supports our account management and client services team. Real Fact: Alyssa comes from a “Big Fat Greek Family” and is incredibly proud of her heritage. She enjoys speaking Greek with whoever she can and she loves visiting her family in Cyprus whenever she has the chance.